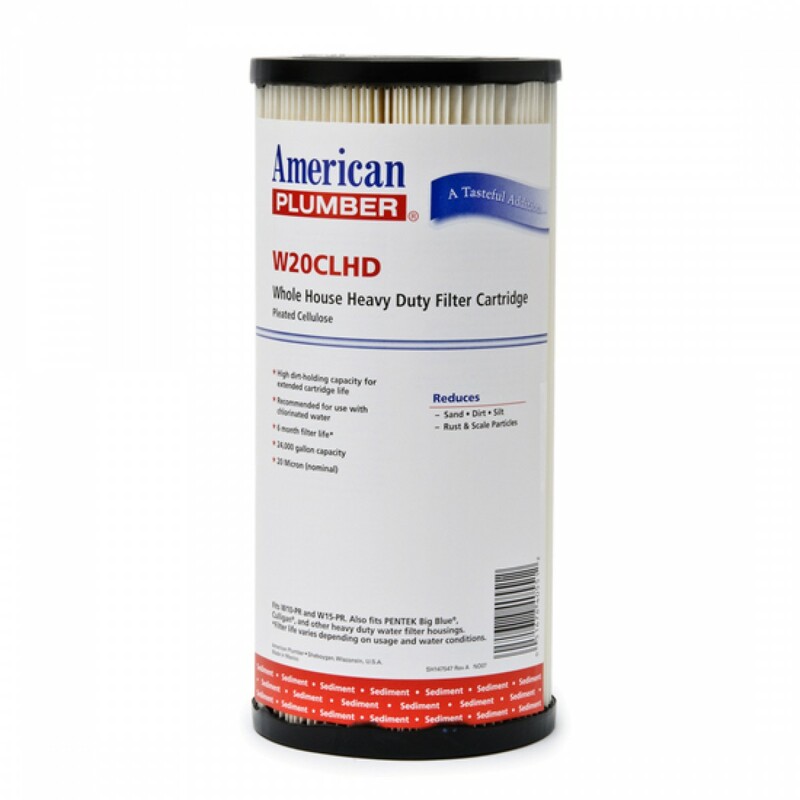 The American Plumber W20CLHD water filter replacement cartridge is used to reduce sediment, sand, and silt down to 20 microns. Pleated Resin Impregnated Cellulose 20 Micron, 10-inch length. 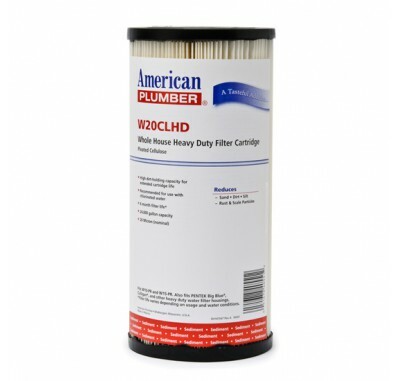 The American Plumber W20CLHD is made by Pentek and is the same filter as the Pentek S1-BB water filter.